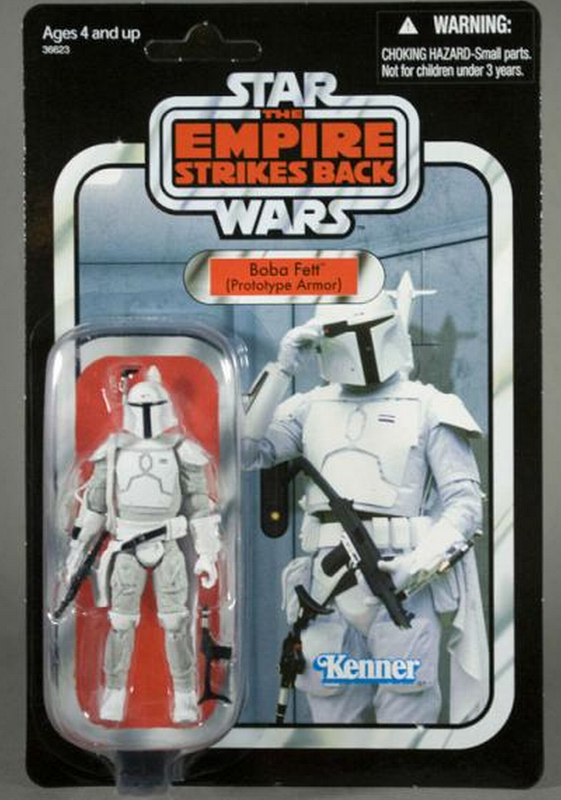 One Per Case: Prototype Boba Fett mail away forces Hasbro to produce more Fetts! 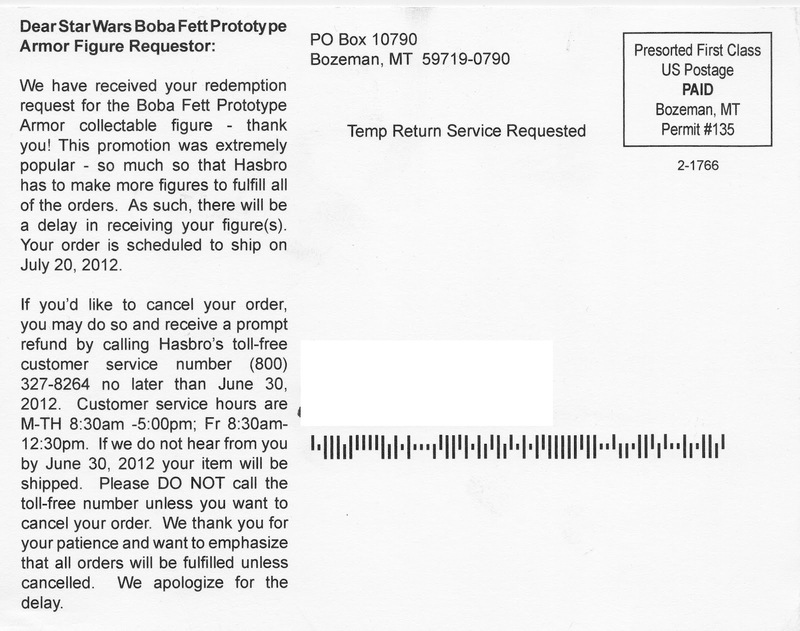 Prototype Boba Fett mail away forces Hasbro to produce more Fetts! 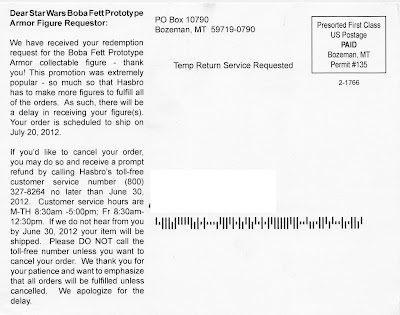 If you were like me and procrastinated sending away for the Prototype Boba Fett, then you probably are receiving a post card like the following stating that Hasbro had to produce more before you will get yours. 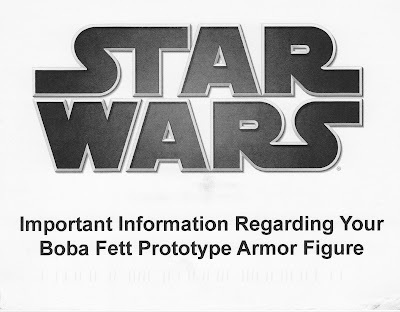 July 20th seems to be the date. View the postcard after the jump! 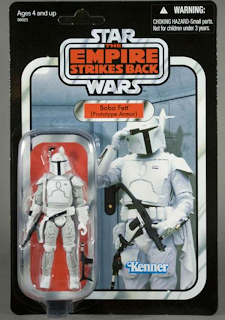 Funny since you and I both procrastinated on this one. 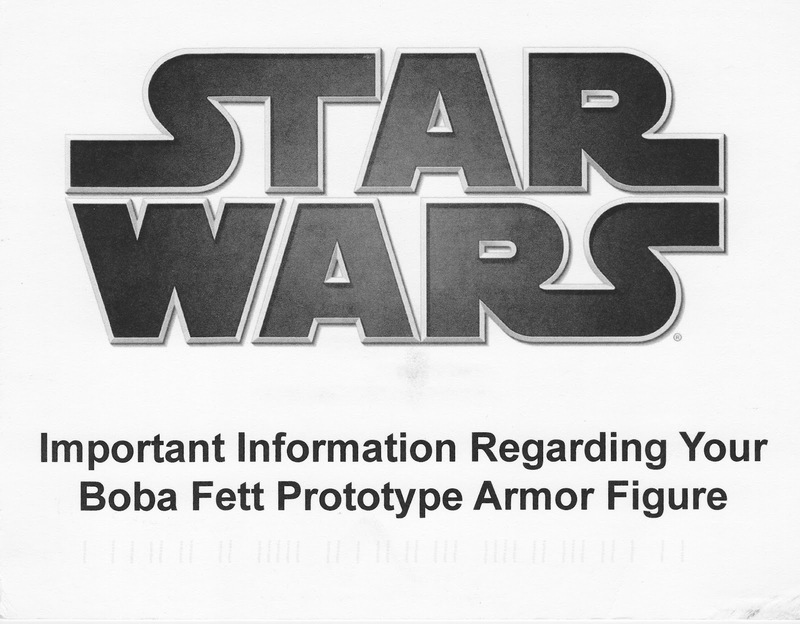 I wonder if I have the same post-card waiting for me in my mailbox today.